Ms. Thomas has been a director of Atlantic Capital since November 2015. 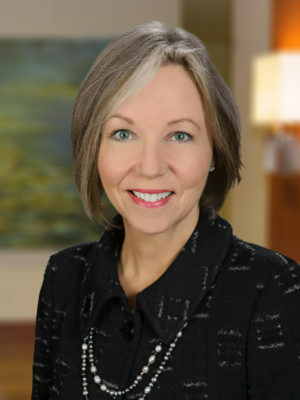 Ms. Thomas serves as the Partner-in-Charge of the Southern Region of Jones Day, and has been practicing corporate law since 1982. She heads Jones Day’s global corporate governance team. Ms. Thomas regularly advises clients with respect to corporate governance, including takeover preparedness and shareholder activism, public and private mergers and acquisitions, internal investigations, corporate and securities compliance, and disclosure and fiduciary issues. Ms. Thomas has also served on the board of directors of Krispy Kreme Doughnuts, Inc. since 2004, and serves on its Audit Committee and Nominating and Corporate Governance Committee. Ms. Thomas’ background as a legal adviser to public companies for over 30 years provides the Board with extensive securities regulation, corporate governance, and risk management experience. Her experience leading the over 300-lawyer Southern Region of Jones Day gives her valuable experience in managing operations, financial statement, and profit and loss responsibility. Ms. Thomas also provides governance, audit and community-service skills and experience gained through her current service as Trustee of Washington & Lee University, as a member of the Board of Trustees of the Georgia Research Alliance, where she serves as the Chair of the Audit Committee, and as a member of the Executive Committee of the Board of Directors of the Metro Atlanta Chamber of Commerce.